Twenty years ago Wendy Alexander of North Vancouver, British Columbia, had two young children when she took her first agility class at a local recreation center. She wanted a night out with adult company, and she got so much more! “I loved the people and the training and did it initially just for kicks,” she said. 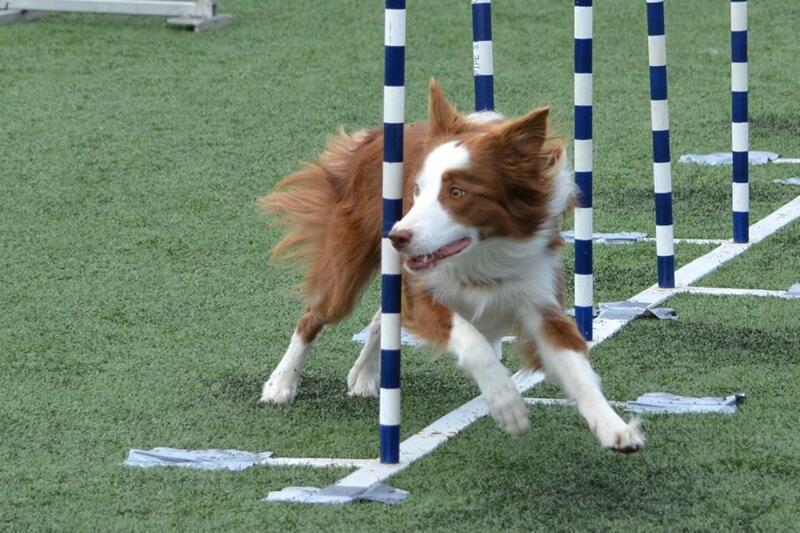 Fast forward to 2018 and Wendy can’t imagine her life without agility. She and her 5-year-old border collie, Crush, are preparing to make their second trip to Cynosport®. Wendy got Crush as a puppy and is grateful to Donna Polka (Hidden Valley, Oregon). Now a well seasoned team, Wendy and Crush won a Gold Medal in Biathlon last year at the IFCS Championships in Spain. “I love Cynosport®. This is our second time; the first time we made it to the Steeplechase finals but crashed and burned. This time we will seize the opportunity if it presents itself again,” she said. Wendy and Crush are looking forward to running in both Grand Prix and Steeplechase at this year’s event. Wendy is an agility instructor and works in online marketing.